The republican President Donald Trump is planning to campaign to be reelected for a second term as president in 2020, by stoking the racist impulses of his base, especially the anti-immigration crowd. His anti-immigration rhetoric will include him catering to his largest faction of his base, the White Evangelical community who strongly favored the 2017 Muslim travel ban. 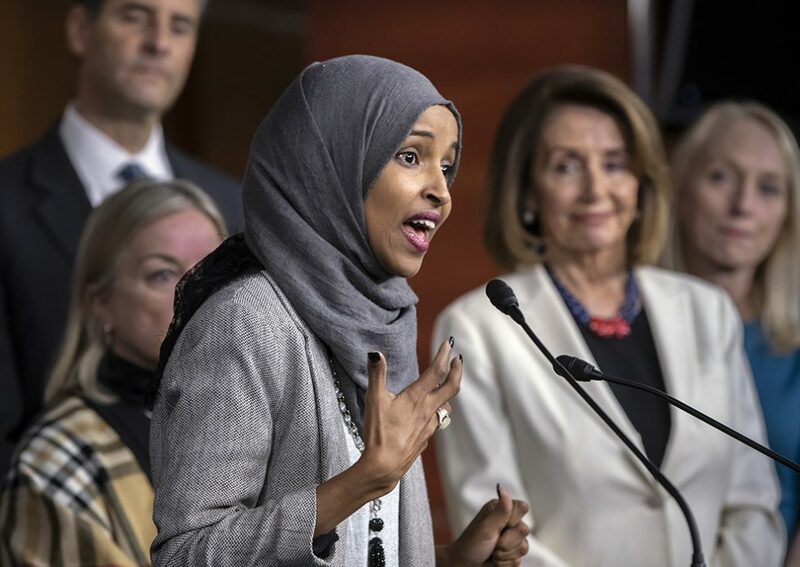 The president and the GOP lawmakers in the US Congress plan to make the Democratic Party Rep. Ilhan Omar who’s Muslim, the poster bogeyman for their anti Muslim/ anti-immigration marketing campaign that they plan to implement for the upcoming 2020 US elections’ cycle. 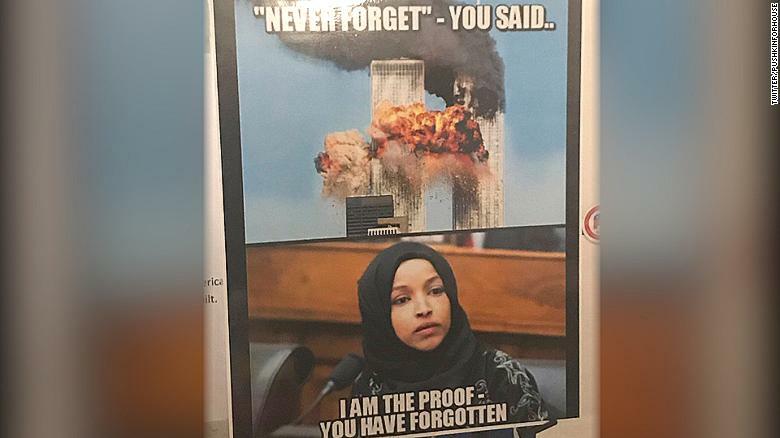 Their singling her out for their brutal attacks has already resulted in Rep. Omar being the precipitant of death threats. It’s important that the Democratic Party leaders come to her defense in a forceful way, as the GOP attacks will continue, otherwise. If she doesn’t misspeak, they’ll make something up, as they have recently done. The President’s core voters are motivated by the debate over illegal immigration. A January 2019 Pew survey found that Republican support for the border wall is now at an all-time high. Ensuring that immigration remains a headline story, especially on conservative news outlets like Fox News, may therefore help Trump get his base to the polls in 2020, as it did in both 2016.”. Among the president’s Republican Party base of voters, there is a marriage of convenience among the fossil fuel titans/ dark monies; the White Evangelical community; the anti-immigration crowd which includes the Evangelicals’ antipathy towards their Muslim brothers and sisters; the White Supremacists’/ Nationals’ racists and sympathizers; the 2nd amendment -gun rights crowd and those greedy Americans who are solely interested in tax breaks and regulation reforms. As per this 2018 poll, the so-called “family values” White Evangelical voters were voicing their support for President Trump amidst the implementation of his policy to separate immigrant children from their parents at the US southern border, as he continued to split up American Muslim families with his 2017 Muslim travel ban and as reports continued to swirl around his alleged affairs with and hush money payouts to past sexual partners while married. There was a time in our past where sycophants under the auspices of an Authoritarian leader acted to commit horrifying war crimes on an entire minority, with the excuse, I was following orders. Those who follow the President’s orders which involves the mistreatment of refugee families and children seeking legal asylum at the US SW border, are perpetuating cruelties that are antithetical to Christian teachings. People like the US Attorney General William Barr cannot in good conscience claim the Christian mantle while acting on such presidential directives. I find it strange that the evangelicals are so ready to hate Muslims, so eager to blame an entire culture, a religion that comprises more than 24% of the entire world population, when I thought one of the tenets of their religion was about ‘forgiveness’. Muslims were not responsible for 9/11 — terrorists were. Usama bin Laden was. Mohamed Atta was. 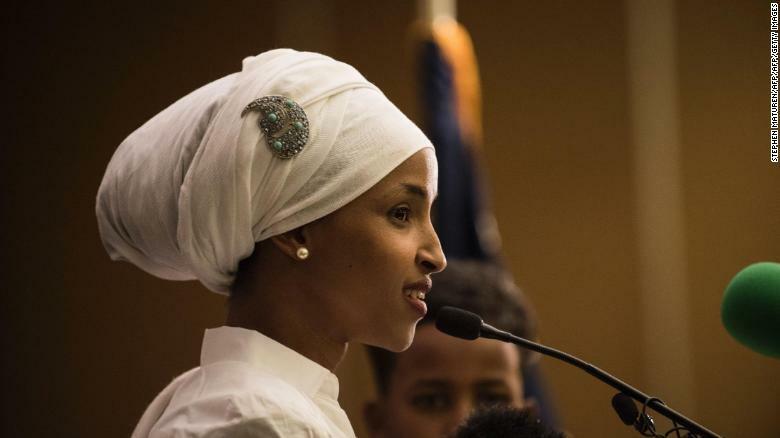 Representative Omar was only 20 years old at the time … she is a citizen of the U.S. This whole thing sickens me … it is no more nor less than I would expect from Trump, and I wrote him off long ago as being a bigoted fool, but all these so-called evengelical Christians … they are giving their religion a bad name among the rest of us, leaving a bad taste in our mouth. Bigotry … is that taught in their bible? Sigh. Hugs! 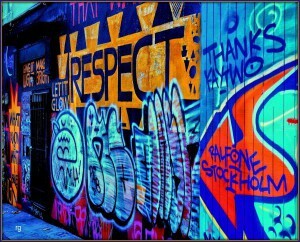 Good post, Gronda! I find it amusing that the Trumpers think that racist hatred about immigration will cause a different result in 2020 than it did in 2018. They are nuts! Overweight, darft-dodging, adulterous, privilaged white male; president not by a majority vote but by a quirk of the system. Attacking a woman Muslim politician.